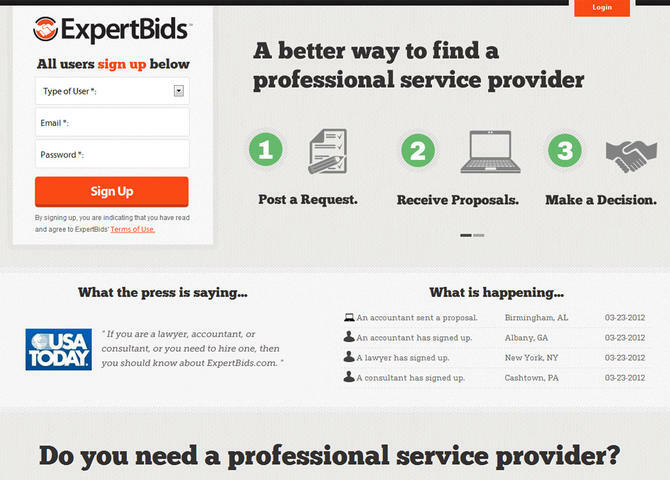 ExpertBids is a professional services marketplace. Our simple-to-use RFP process allows you to get bids from lawyers, bids from accountants, and bids from consultants. Built on Modx by me. Visit Get Proposals from Professional Service Providers | ExpertBids.com.